Painting furniture white: secrets to the perfect finish - Lovely Etc. Painting furniture is one of my favorite ways to create a beautiful, one-of-a-kind room on a budget. 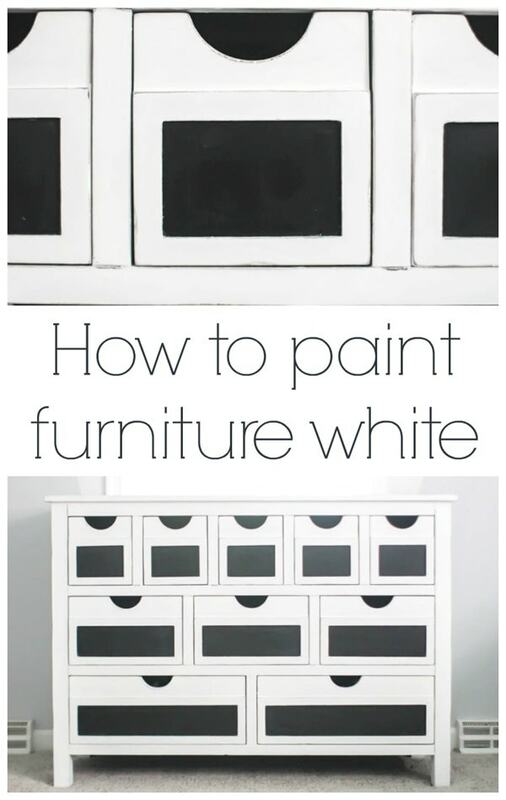 I love painting furniture with bold, bright colors, but there is also something magical about painting furniture white. It is so fresh and simple and can work with absolutely any style. 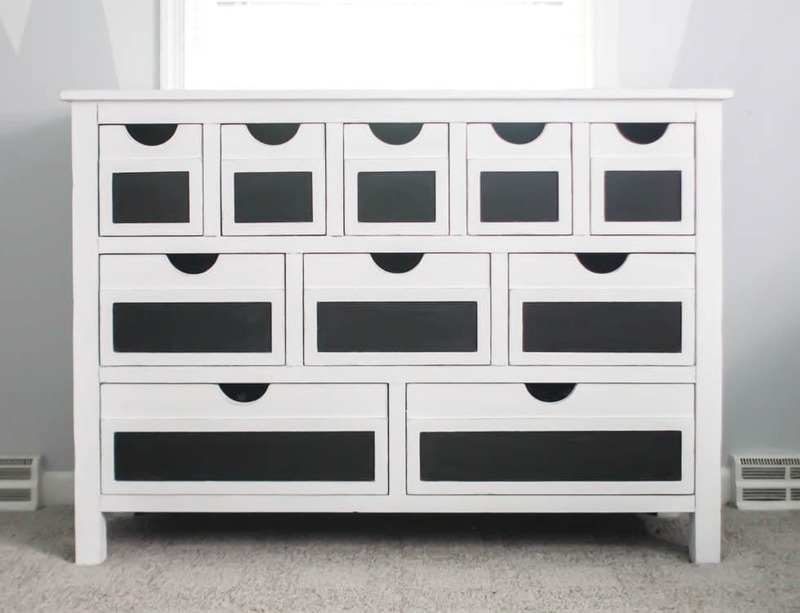 Painting furniture white is simple but there are a few tricks that will really help you get a gorgeous paint finish that lasts. 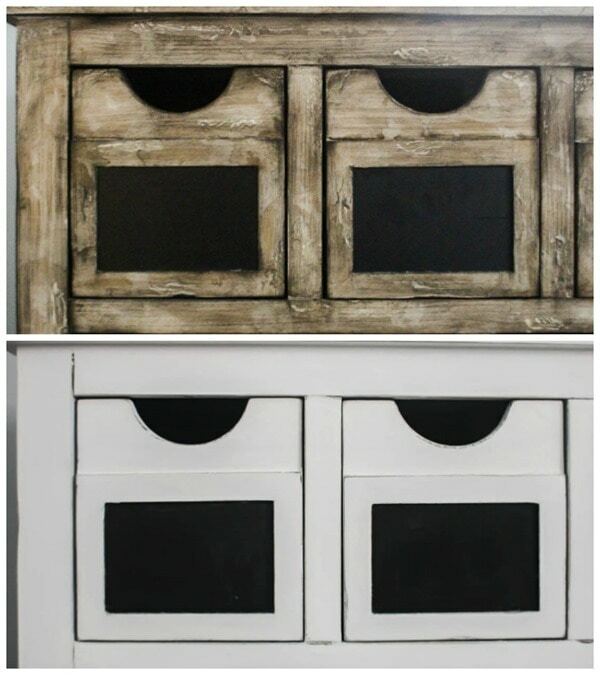 White paint: I used DecoArt Chalky Finish Paint in the color everlasting, my favorite furniture paint for a distressed, vintage finish. (DecoArt Satin Enamels is great if you are going for a smooth, non-distressed finish). First, a before picture. Usually I paint beat-up vintage furniture that I find for cheap at yard sales or thrift stores, but this time, I happened to already have the perfect dresser for my sons’ room. It isn’t old, it is a new dresser that was given to me about a year ago. It was the perfect candidate for a new paint job: I love the shape and lines of the piece, but the paint finish just wasn’t right. From a distance, it looks like a nice distressed wood finish. But up close,the paint was super fussy and almost Asian looking. 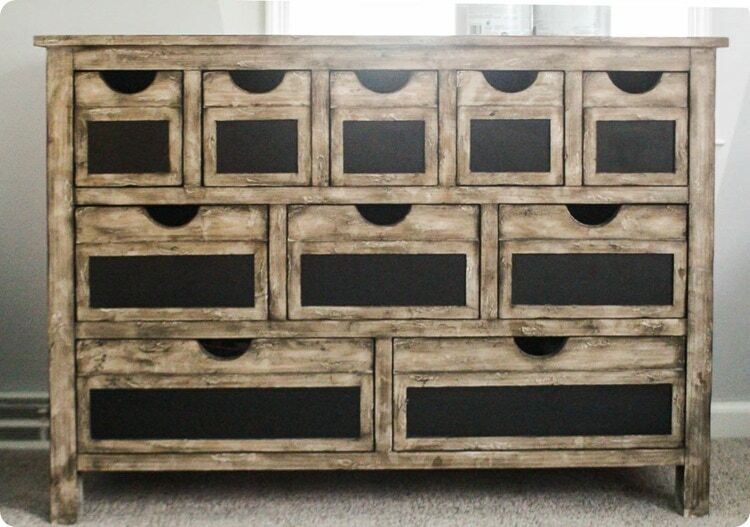 Which isn’t a bad thing, but since the dresser was very farmhouse in style, the fussy paint was not working. In most cases painting furniture white without sanding is no problem. You do not need to sand most furniture pieces unless the surface isn’t smooth or the current finish is super shiny. In my case, the ‘hand painting’ was highly textured so I sanded it smooth using 150 grit sandpaper. This is how my dresser looked after sanding down the high spots. You can see how splotchy the paint was previously. After sanding, I wiped all the dust off and it was time to paint! 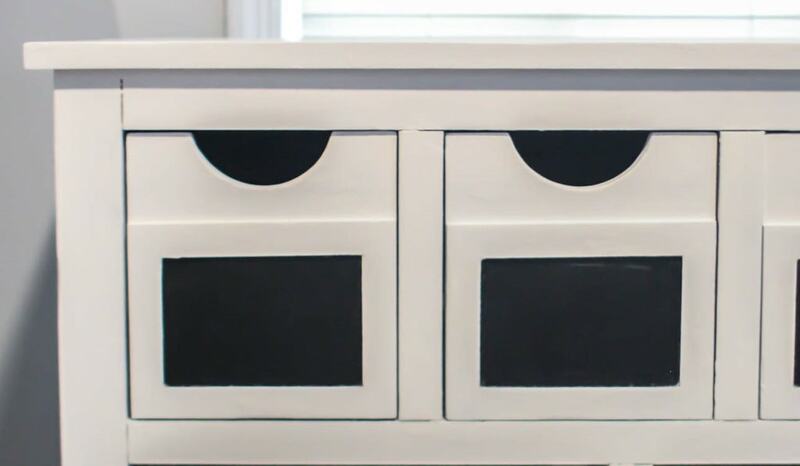 When painting furniture a pure white, it usually pays off to use primer first. 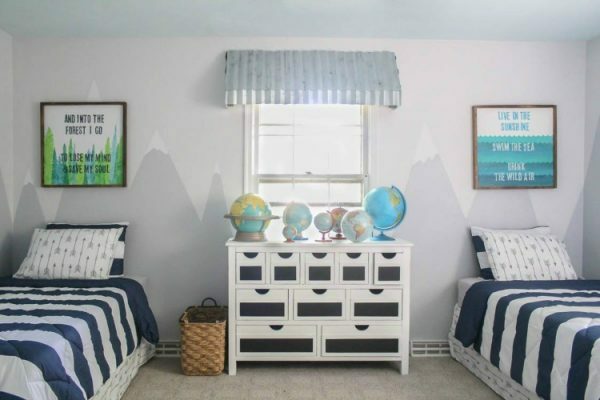 White paint does not cover as well as other colors of paint. I have tried many, many types of paint and across the board, white paint requires more coats of paint than other colors. If you paint a coat of primer first, you will need fewer coats of paint and since primer is cheaper than good paint, it will save you time and money in the end. A small foam roller and a good paintbrush are all you really need for a great paint finish. (Of course you can also get a beautiful, smooth paint finish with a paint sprayer.) A foam roller works great on all of the large, flat sides of your furniture piece and a smallish paintbrush can help get any edges and crevices the roller can’t reach. Not sure what kind of paintbrush to use? These are my top picks. As I mentioned above, it will probably take several coats of paint to get an even finish. Be sure to let the paint dry between coats. One of the great things about chalk paints is they dry very quickly. By the time you finish the first coat, the first sections you painted are usually already dry and ready for another coat of paint. Because this dresser has a vintage, farmhouse vibe, I chose to lightly distress it. Also, once it was painted a fresh white, it became obvious where the various pieces of wood did not meet seamlessly. Luckily, this really just added to the handmade look of the piece. To add to the vintage look, I used 220 grit sandpaper to lightly sand along all of the edges, including the seams between pieces of wood. With any chalk paint, it is important to finish with some sort of sealer. It will help protect the finish from scratches and stains. 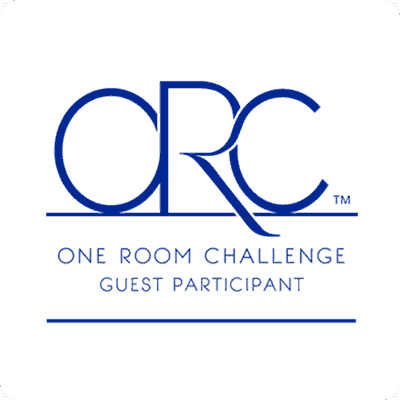 This is even more important when using white or other very light colors since any stains will be even more obvious. 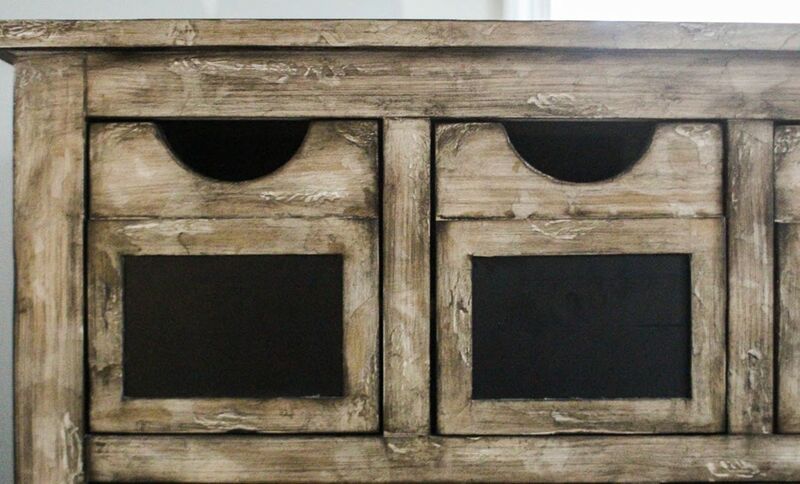 For distressed furniture pieces with a vintage feel, I like to use General Finishes Flat Out Flat Sealer. It is one of the few sealers out there that doesn’t add any shine to your finished piece. The flat finish really helps the piece look authentically old. 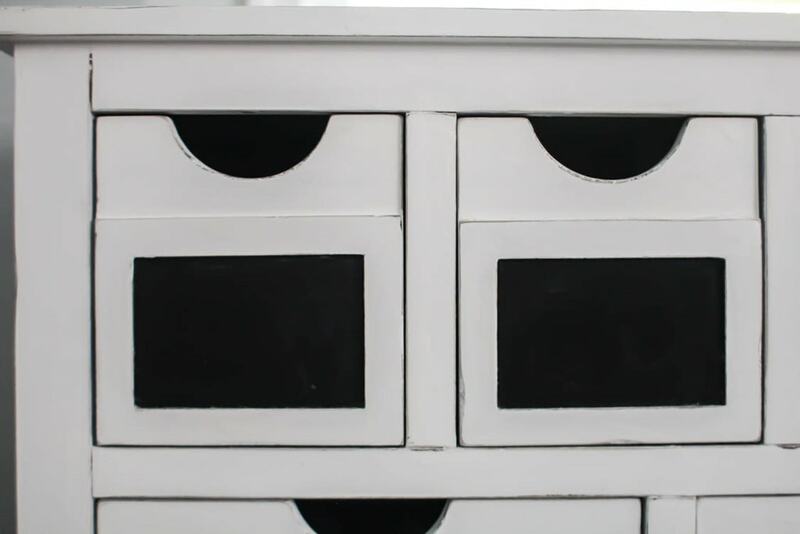 And that’s how you paint a dresser white! Here she is all finished. 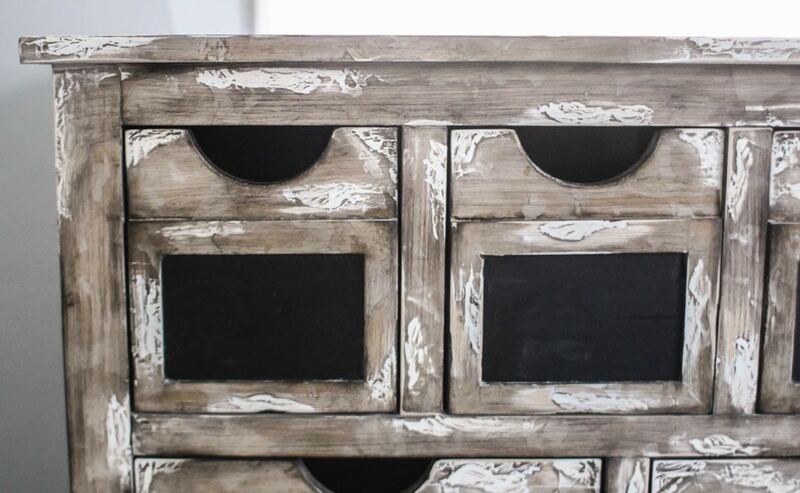 The dresser looks much simpler and fresher and the distressed white paint fits the farmhouse feel so much better than the old finish. And now there’s only one more week until the full room reveal! I’m equal parts scared and excited. I can’t wait to see everything come together – but that also means I have just a week to make everything come together! You can catch up with all of the other great rooms being transformed in the One Room Challenge right here! Great tips! 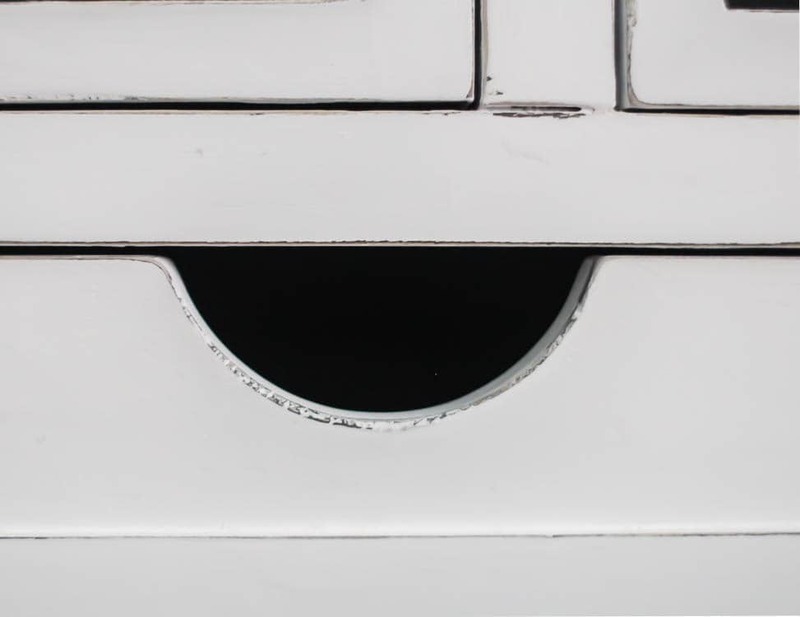 I love the contrast of the white paint against the dark drawer fronts. Thanks Katie! That contrast of black and white is definitely right up your ally! Looks great! Primer is my #1 tip for painting furniture white (or off-white/cream/etc.) too! Yes, it makes such a difference even when it isn’t ‘required’. This turned out beautiful. I think everything looks better painted white! I can’t wait to see your reveal! this turned out great! can’t wait to see the finished space. The dresser look so much better now! Good choice! Thanks Natalie! I think so too! 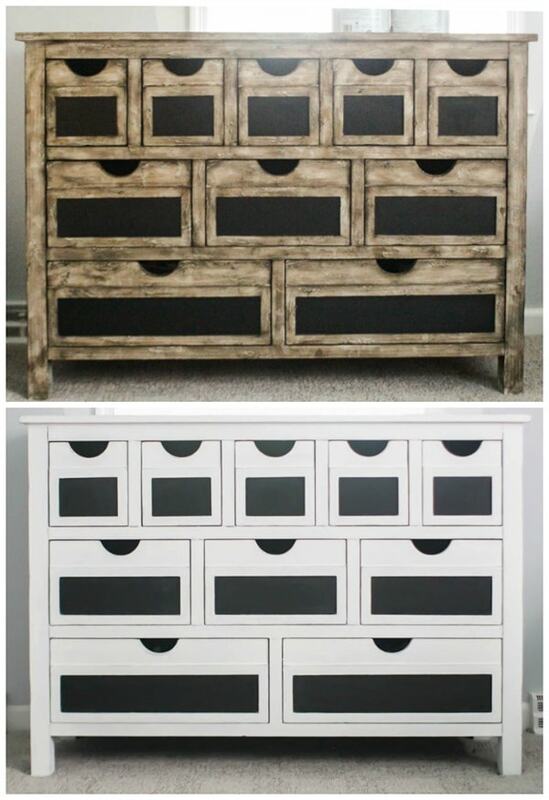 That dresser looks so much better after you painted it! Great job! Thanks Nicki! I think so too!